Anyone working towards an ABRSM music exam, may be interested in a free presentation to be held at Forsyth music shop in Manchester. Yesterday I was reading a feature called ‘The Definite Article’ in last week’s Daily Mail Weekend supplement. (It’s a busy time in our house and I always seem to be a week behind). Anyway, the date on the front of the magazine is irrelevant as far as this article is concerned – because the sentiment expressed within is timeless. The ABRSM has just announced the launch of a new qualification – the Associate of the Royal Schools of Music (ARSM) – which is intended to bridge the gap between grade 8 and the DipABRSM. For anyone who wants to know a bit more about this, there is a video on youtube. Liverpool is once again giving piano performers the chance to try their hand at busking. 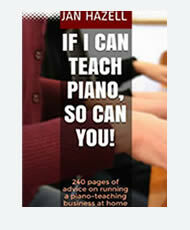 Further to my post from May 19 on Free Piano Lessons, I discovered a BBC News report by Anu Anand who was filmed taking one of these lessons from teacher Barbara de Biasi. I was delighted to read – in yesterday’s Evening Standard – that a top pianist is offering free piano lessons in London’s St Pancreas Station. I really love my piano. It’s given myself and my family many years of enjoyment, whilst earning me a decent living. However, to anyone else, there’s nothing special about it: it’s a bog-standard, light wood upright. The same cannot be said of the weird and wonderful piano selection featured in yesterday’s Telegraph.